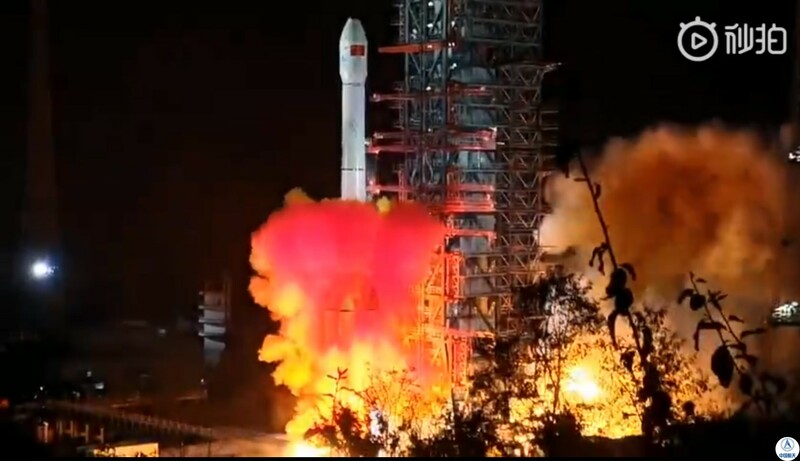 The Chang’e-4 combination lander and rover were sent into space atop a Long March 3B rocket at 2:22 a.m. local time Dec. 8 (10:22 a.m. PT Dec. 7) from the Xichang Satellite Launch Center in China’s Sichuan Province, according to Sina Tech and other Chinese sources. This entry was posted in GeekWire and tagged Chang'e-4, China, Moon, Space. Bookmark the permalink.